Talk at the Pocket Gamer Connects Helsinki 2017 on experimental game jams. Guest lecture at University of Turku Science Cafe, October 2017. Opening words for the #FGj17 Keynote. Minidocumentary of our roadtrip in Finland during the Global Game Jam 2017. Talk about hybrid playful products at Pocket Gamer Connects Helsinki 2016. Microtalk at the Game Developers Conference Europe 2014 on #1ReasonToBe panel. Lecture for the Aalto Game Monetization Design course (Aalto Ventures Program) 2014. 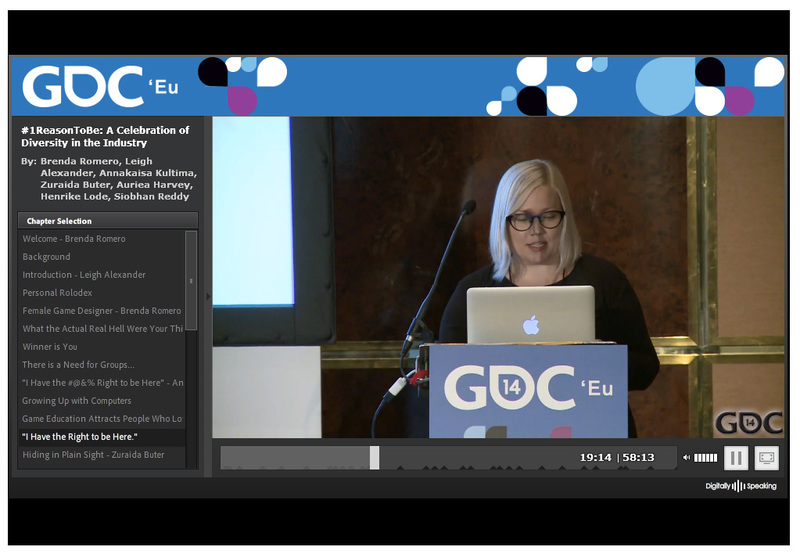 An invited talk for the GGJ Workshop at FDG 2013. Global Game Jam presentation at Flash GAMM, Moscow 2013. My provocative end note for a student seminar at Helsinki, 2012. My application to Kaute foundation in 2016. Assembly Summer 2013, interview of Finnish Game Jam. Finnish Game Jam 2013, end discussion.